It seems like just yesterday that it was 1999 and Reese Witherspoon was starring alongside her then-husband, Ryan Phillippe, in the timeless classic Cruel Intentions. Yup, it was just yesterday that they had their first child together, Ava. Look at her, so cute, so smol. Well, I have some jarring news: It's been more than 18 years and Ava is a full-grown, not-smol adult now. She's 18 goddamn years old. And this weekend Ava officially graduated from high school. 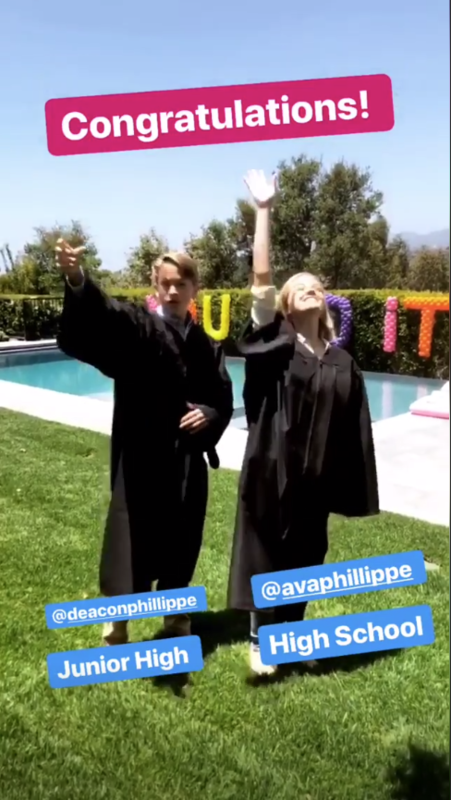 Proud mom Reese took to her Instagram to share some celebration pics from the big day. And it looked like quite the celebration. 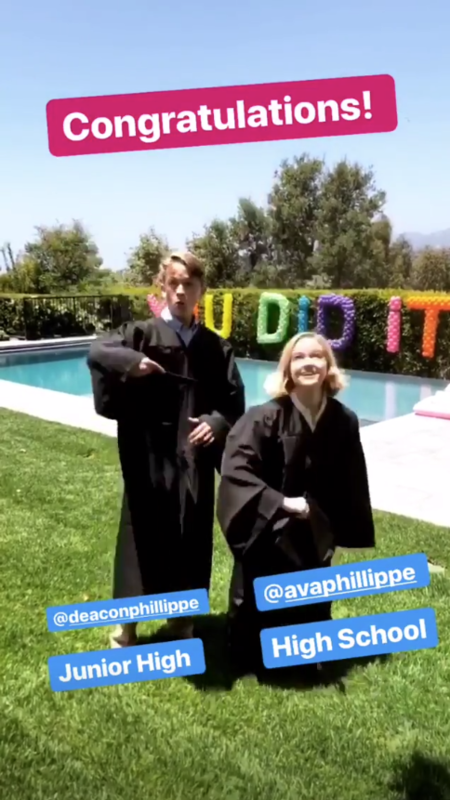 Not only is Ava graduating from high school, her younger brother Deacon is graduating from junior high. Just look at that perfect veggie plate. Ava also treated us to a throwback of her freshman year, though I still refuse to believe it's been any more than, like, a year since she was born. "I graduated high school! 🎓💗(here’s what I looked like at the beginning of it)"